Here's a good, quick tofu scram for you to fry up in a pan or on a griddle. They key is to cook it golden. And the key to that is a hot, oiled pan, preferably cast iron or well-oiled stainless steel. Seeds add a nice crunch to contrast the soft tofu. Mix sauce for the scram: 2 T tahini, 2 T brown sesame seeds, 2 T sunflower seeds, 1 T soy sauce, juice of 1/2 lemon. Squeeze the tofu: For a good tofu scram, tear into the block of tofu with your hands, squeeze, but don't let any split away that's not smashed. Let only the smallest crumbs drop into the bowl of sauce below. It helps to squeeze no more than about half a pound at a time, so squeeze twice, because this recipe takes a pound. I like Chicago-made Mu Tofu for this recipe because it's very firm with a good, solid texture. Give the tofu a good mix into the sauce with a few shakes of turmeric (not shown). Cook in a little hot peanut oil in a hot cast iron pan, and then flip when the underside is golden. Pat the tofu down to a quarter-inch or so when you first put it in the pan, so it easily cooks through. I served mine with a side of mesclun tossed in a little salt, black pepper, and the juice of half a lemon - the half left from the tofu scram's sauce. The extra lemon in the sauce escaped and added an extra juiciness to my scram. ... are we too cool for the "-ble" in scramble? I call affectionately call it scram. Of course it's a scramble. This was delicious. I added a few extra seasonings. I love the addition of seeds, and the scrunchy bits of tofu were so good. I'll be blogging about this one! Thanks for the great recipe. I made this for mother's day and it was fantastic! great recipe. the leftovers where even better the next day. I added a little sea salt, and made into a burrito and it was amazing! This is my basic meal. Tofu sauteed with various veggies. The veggies and the spice makes a difference. It's really a multi-meal. This was great! I used to have a recipe that used brewers yeast as well. Do you think that would add something to this preparation? I love the addition of seeds, and the scrunchy bits of tofu were so good. I'll be blogging about this one! Thanks for the great recipe. 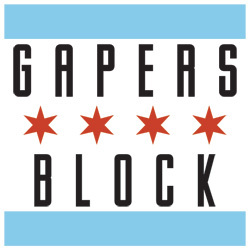 Hi, this is a good topic to have discussion on bit as I have go though all the posts replies there is not much to talk about every most of the replies have been written what I wanted to share…Spacca holds the title for best pizza I've had in Chicago. I'm a big fan of thin quality crusts and minimal ingredients -- like the pizza I had as a child while traveling in Italy -- real Italian style. The Food is Yummy. I will definitely try it. Hi guys, long time that I didn't come to check your website for a while. I like the way is have a lot of space that nice and clean. I'll come by to say hi again, soon. See ya. 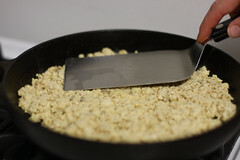 For the times you want quick, easy scrambled eggs minus the eggs here's a recipe for tofu scram . Thanks for sharing the info. Virtually every minute of every day, there is an accident on the highway as a direct result of a faulty stock equipment side view mirrors, that has a blind spot that doesn't allow unhazardous lane changes. 160,000 people each year, some of them young and inexperienced drivers, are damaged as a direct result of blind spot related accidents. And yet, the problem of these accidents might be simply solved by making just one small modification to your car: the use of an cheap adhesive maxiview blind spot mirror. Drivers cannot merge onto a highway or change lanes safely with original equipment side view mirrors," states the Automobile Safety Foundation, which is taking aim at current driving safety crisis by establishing the "Safe Mirrors Now!" nations awareness campaign in endorsement of side view mirror addons designed to reveal the "blind spot."